Photo: McCullough-Price House, ca. 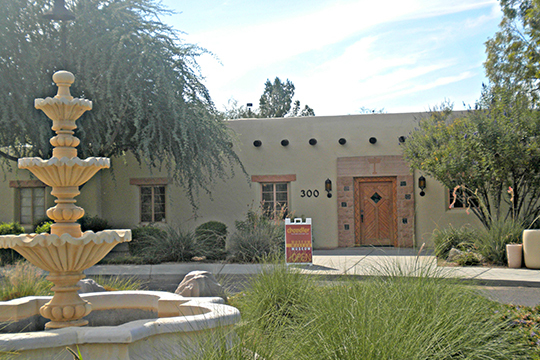 1938, 300 South Chandler Village Drive, Chandler, AZ. Listed on the National Register of Historic Places in 1992. Photographed by user:Valis55 (own work), 2015, [cc-by-3.0 (creativecommons.org/licenses/by/3.0)], via Wikimedia Commons, accessed November, 2015. The Pulaski County Courthouse is located at 201 South Broadway, Little Rock AR 72201; phone: 501-340-8305. The Spanish explorer Hernando DeSoto reached the area that would become Pulaski County as early as 1540 during his expedition through Arkansas. French explorer Bernard de La Harpe traversed the Lower Arkansas River about 1721. European settlers began coming into the area about 1807. Pulaski County was created in 1818 when the Arkansas Territory was established by congress. It was named for Count Casimir Pulaski who died in the Battle of Savannah during the Revolutionary War. The Territorial Capital was moved to Little Rock in 1821. Arkansas became a state in 1836 and the new state government built a State Capitol Building on the bank of the Arkansas River beginning about 1833. It was replaced with a newer Capitol Building in 1915. County government operated from the Statehouse until 1883. The Pulaski County Courthouse was opened in 1889. By the early 2000s the population of the county was 361,000. The 4-county metro area of which it is part had a population approaching 600,000. According to the county (www.co.pulaski.ar.us) about 85% of the population lives within the incorporated limits of its 8 cities: Jacksonville, Little Rock, Maumell, North Little Rock, Sherwood, Alexander, Cammack Village, and Wrightsville.